(Newser) – Donald Trump's claim that a US-born judge is a Mexican with a conflict of interest is "inexcusable" and "one of the worst mistakes Trump has made," according to Newt Gingrich, a Trump ally so staunch he has been talked about as a VP pick. "That judge is not a Mexican. 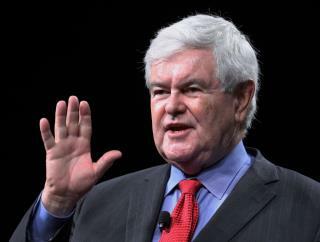 He's an American," Gingrich tells Fox News. "I hope it was sloppiness." He adds: "If a liberal were to attack Justice Clarence Thomas on the grounds that he's black, we would all go crazy." But Gingrich stresses that he's still impressed by Trump, whom he considers a far better candidate than the "much more flawed" Hillary Clinton. "I'm amazed at his speed, how fast he learns," Gingrich says. "He's a remarkable leader. We have a very good relationship." He says Trump is now at a "turning point" where he needs to run a more disciplined campaign. Since Newt lied about term limits in his contract with America I have not listened to him much but on this one he has it right and there is a real danger of The Donald shooting off his mouth and really damaging his chances to become President. But Newton Leroy Gingrich will excuse Trump anyway.